Roger Ebert devoted his Great Movie column last weekend to TRIUMPH OF THE WILL (and I’ll return to that in a day or two), after teasing that fact in his journal. I commented a couple of times on the narrowly vulgar issue of whether she and Hitler were lovers. But I made another comment that wasn’t posted and I can pretend neither to be pleased nor understand. This is the moderator’s prereogative, of course, but I don’t know what about what follows is objectionable or unpublishable, particularly since a comment about the glories of Soviet Communism did pass the offense test. I flattered myself that perhaps Ebert was gonna make the exact same point in his piece (though I still would have published it; it’s not a blindingly original point that could form the basis of a cribbing charge). But he didn’t. And here is what I wrote. The answer is that TRIUMPH OF THE WILL neither is nor isn’t a documentary, but rather, it created its own category in a kind of Hegelian synthesis, and it’s a synthesis that news coverage and politicians since have not been able to do without: The Photo-Op. That is, “reality” that exists in order for itself to be photographed. When the American president goes for a visit to the flooded parts of Iowa, a significant part of the reason (after all, he can sign aid bills or disaster declarations sitting in DC) is so he can be seen doing it for public consumption, just like all the Nazis marched through Nuremburg in history’s grandest and greatest photo-op. TRIUMPH was something new for politics. And what I said of the Iowa floods is true of any president of any party; I’m not making the childish “Bushitler” arguments of some above. While TRIUMPH is in no way a “pure” documentary in the way that cinema-verite purists insist, it is just as clearly not fiction — the Nuremberg Rally really did happen as Leni Riefenstahl showed it; and significant events that did not appear in the film happened anyway. 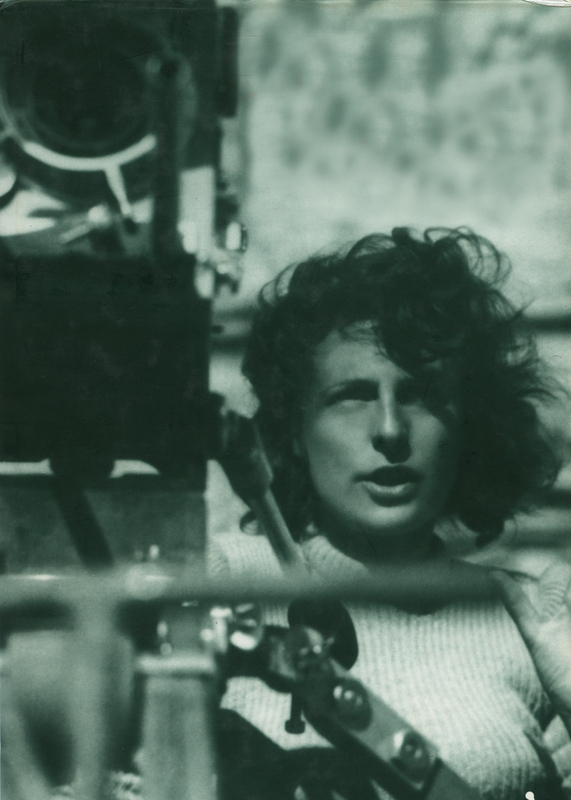 Every time you turn on CNN or Fox News or the BBC, etc., you are watching something that Leni Riefenstahl and TRIUMPH OF THE WILL made possible. Rinse and repeat with ESPN and OLYMPIA (though the details are a bit different), and you have the greatest and most-influential documentarian (and female director) of all time. No doubt about it.